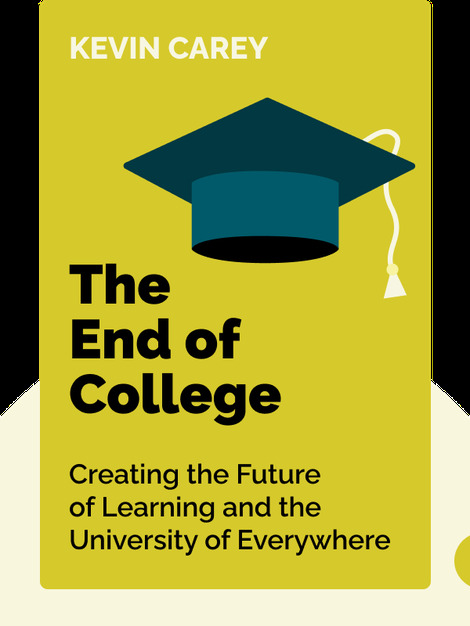 The End of College (2015) is about the American higher education system. These blinks give a historical overview of how the author sees the development of the American university and its evolution from European models. 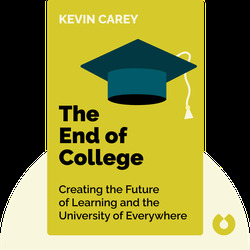 He evaluates its current status and advocates for the University of Everywhere – a remotely accessible university of the future. Kevin Carey directs the Education Policy Program at the nonprofit research organization New America. He has also taught education policy at Johns Hopkins University, Baltimore. He is a regular contributor to the New York Times and has written for publications such as Wired and Slate.